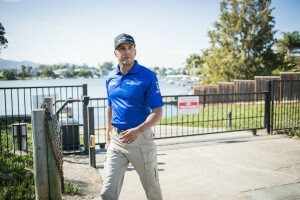 Our event security services offer the presence, protection, and peace of mind you need to ensure safety and security at your next event in the Ontario, CA, area. Whether you’re hosting a small, private function or an event with hundreds of attendees, Signal 88 of Rancho Cucamonga will deliver the security solutions that your event demands. At Signal 88 of Rancho Cucamonga, we work closely with event coordinators in the Ontario area, designing custom event security plans for functions of any size, in any venue. At every event, our services are backed by professional staff, precision systems, and leading technology. Our presence will ensure your guests can focus on enjoying the event and that you can focus on making it a success. When you’re running an event, security is needed to safeguard your patrons, your investment, and your reputation. It’s also important that security projects a professional presence. Event security staff should enhance the image of your event, offering a clear, unspoken signal to attendees and other event staff that their safety is in good hands. No one understands the role of event security better than the team at Signal 88 of Rancho Cucamonga. Our event security solutions provide event coordinators in Ontario, Rancho Cucamonga, and the surrounding communities with the staff, services, and systems they need to keep important events secure. Our focus on custom solutions makes it easy to adapt our security services to your specific needs. We create a unique plan-of-action for each event, working with you to identify and address any security concerns and vulnerabilities. Our Edge 88® system allows us to execute your plan with a level of precision and responsiveness unique among event security services in the Ontario area. In terms of security staffing, we can provide roving patrol, foot patrol, and dedicated patrol responsibilities, or a combination of these options. Every member of our team has been carefully vetted for their background, selected for their character, and trained according to exacting professional standards. To learn more about our event services or to get a free, no-obligation estimate, contact our team today. We will be happy to discuss your event security needs and your options for security staffing. Call (877) 522-5588 today for a free estimate from Ontario’s trusted event security providers.